The harebell is a delicate perennial that has a graceful appearance. They have slender stems, sometimes in clusters and some are so weak the plant bends over. 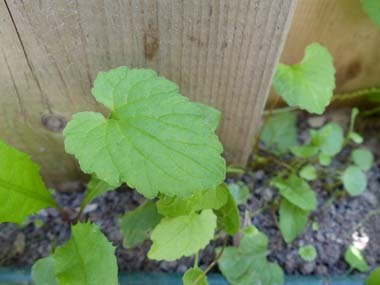 Interestingly an old name for this plant in Scotland was Witched Thimble due to old folklore. The genus name, from the Latin campana (bell), means little bell. 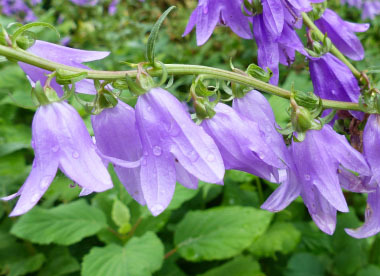 Distinguishing Features: The harebell is a relatively small plant and is most easily recognized by its small blue/lavender, drooping, bell-shaped flowers and the milky sap exuded by its stem. 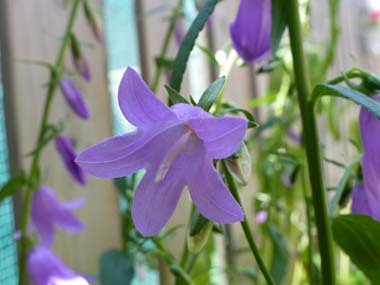 The most notable feature of the harebell is the flower. They either hang singly or they appear in clusters along the top parts of the stem. 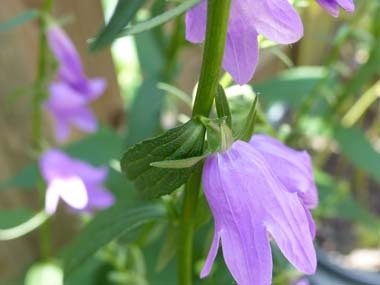 Flowers: The radially symmetrical, nodding flowers of the harebell measure 2 to 3 cm in length. They have a rounded, fused corolla that opens into five pointed lobes. This blue or lavender bloom has a three-parted stigma, five stamens, and thin, green sepals. The flower typically blooms from late June to August. 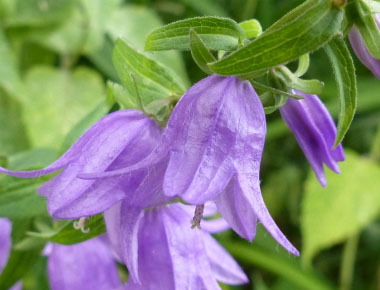 Fields of Nutrition has medicinal benefits and vitamin/mineral content of Harebell. 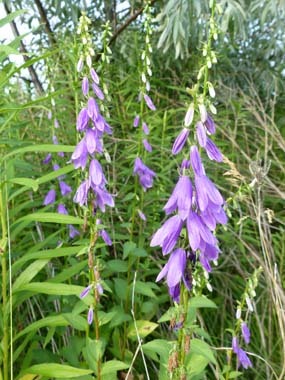 Leaves: The leaves of the harebell are about 7.5cm in length when full grown. 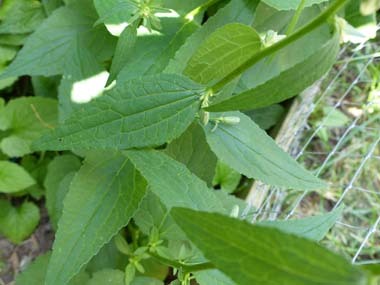 Basal leaves, long-stalked, kidney-shaped–cordate, with rounded teeth, large-toothed, usually withered by flowering time. Stem leaves alternate, short-stalked, uppermost stalkless, almost linear, entire margins. One leaf per node. Height: Harebells can range from 30cm to 60cm in height. Habitat: This plant likes dry grassy areas and along the sunny edges of forests and moist to dry conditions. They also tend to like shallow rocky soil as well and along shorelines. They grow throughout Canada and the U.S. as well as Britain and other northern regions of the world. 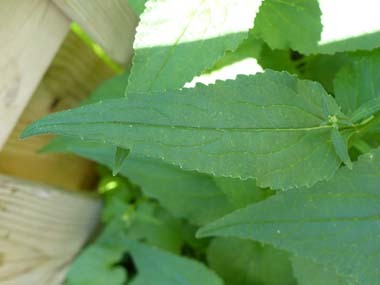 Edible parts: The leaves of this plant are edible and are best used in a salad. Add them to a smoothie, into your homemade dips or anywhere else to add some of its vitamin C.